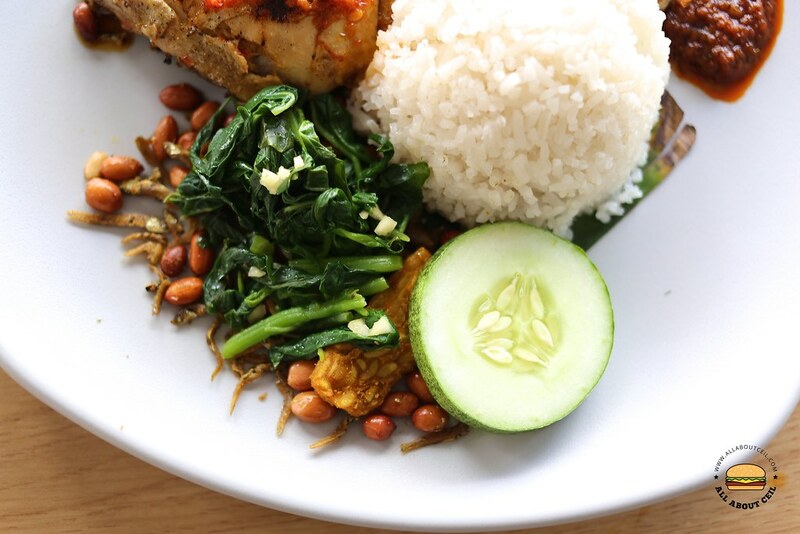 Their signature dish is Nasi Lemak Ayam Taliwang, a local spicy grilled chicken dish from Lombok in Indonesia. It resembles the regular grilled chicken but the taste is different, it is sweet, tangy and spicy rather than just plain spiciness. Noorman was first introduced to Ayam Taliwang when he visited Lombok in Indonesia with his wife about 3 years on their honeymoon. 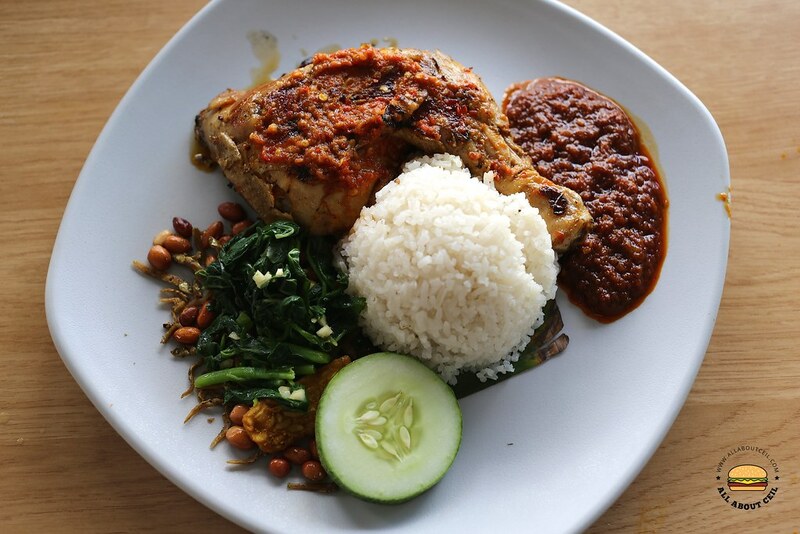 They felt that this humble dish complements the Malay nasi lemak and decided to bring this well-loved taste to Singapore. The Ayam Taliwang is based on a recipe by Puti's mother and the recipe for sambal and the coconut-infused rice is from Noorman's father. They started to experiment the recipes, recreating it using different spices and ingredients in different proportions for sambal and marinade. After about 6 months and underwent many experiments, they perfected the recipe and concluded the right level of spiciness that is more suited to the local taste buds. The marinade is made by hand with a good amount of fresh chilli, shallots, belachan and tamarind juice and it is used to coat the chicken before steaming it and then grilling it. Though it is typically served with white rice, they choose to serve with coconut infused rice that is for nasi lamak. 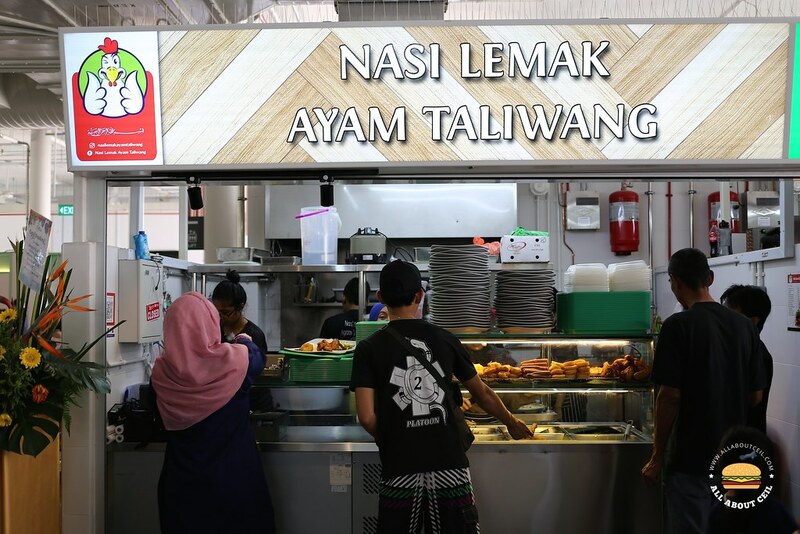 Ayam Taliwang ($5.50) was sold out during my first visit when they just opened. This time, I was lucky enough to have the last set. It is served together with the spicy grilled chicken, tempeh, ikan bilis and kang kong with sambal chili by the side. The level of spiciness has toned down quite a bit as my dining companion that has a little tolerance for spicy food think its spiciness is quite manageable. The flavor is addictively strong but I do prefer it to be a little spicier. 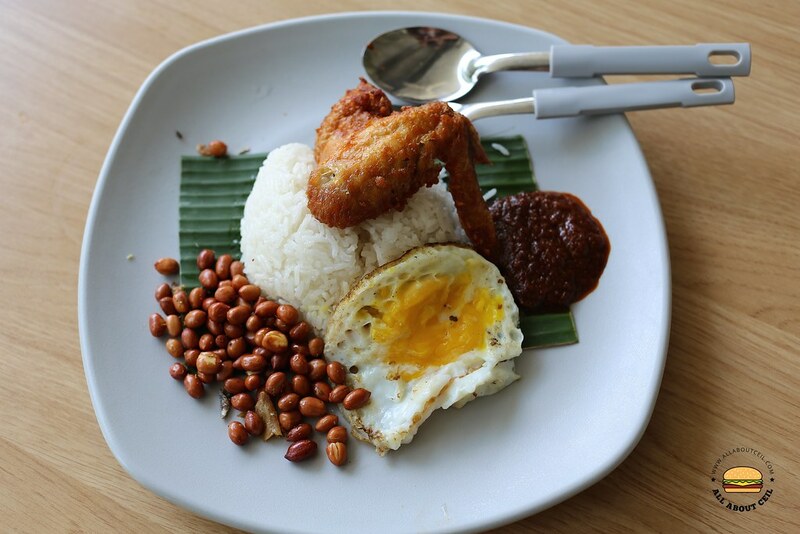 I also got to try their basic Nasi Lemak ($3.50) with Chicken Wing during my first visit when they just opened. The queue was long at that time as they run out of rice and we were asked to wait for the new batch. Though it did not taste as memorable as their Nasi Lemak Ayam Taliwang, it was not too bad particularly the fried chicken wing. 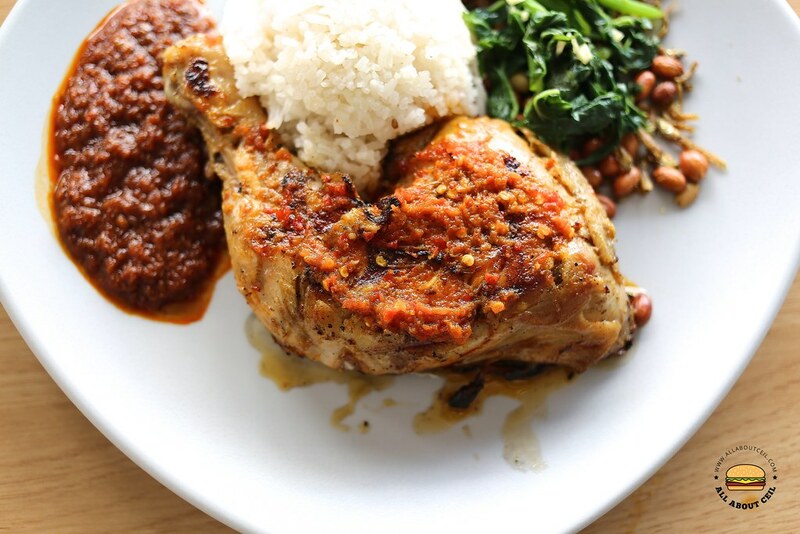 There are also Ayam Cabe Ijo (grilled chicken with green chilli) and Ayam Balado (grilled chicken with sambal chilli) on their menu for $5.50 each.